Biography and accomplishments or why Ramses VII was famous: Little is known about this Pharaoh other than that this was a period of internal unrest and economic decline in Egypt. 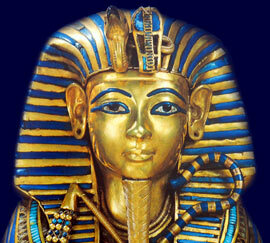 He was succeeded by Ramses VIII one of the last surviving sons of Ramses III. Each section of this Ancient Egyptian website addresses all topics and provides interesting facts and information about the Golden Age of Pharaohs. The Sitemap provides full details of all of the information and facts provided about the fascinating subject of the Ancient Egyptian Kings - their life, family, reign, dynasty, important dates and events and accomplishments.